Our weekly classes take place at your child's preschool or early learning center once a week. The 30 minute program will take place at a time that doesn't interfere with their classroom learning time. Our professional coaches come to your child's center once a week to deliver our amazing curriculum at a time that doesn't interfere with your schedule or their education. It's perfect for busy families. Why load up the car and drive somewhere after a busy day of work? Make that family time by letting us bring the extra curricular activities to you! 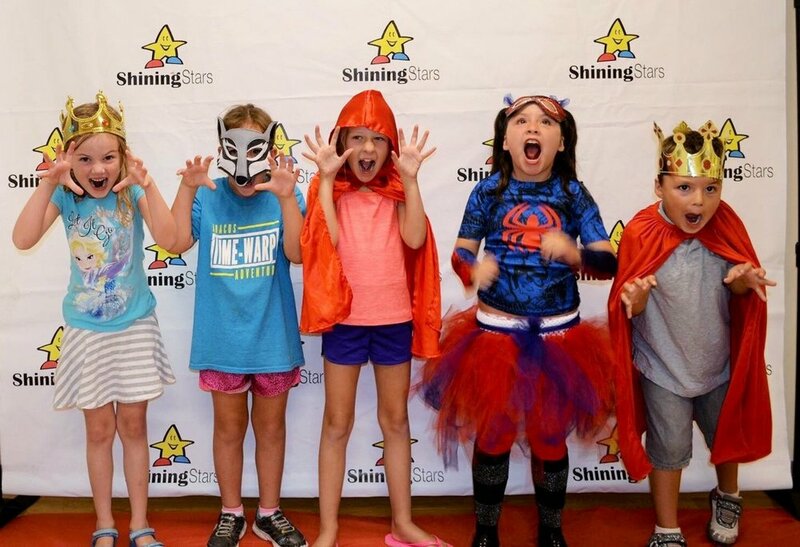 Our ShiningStars classes are designed to encourage creative dramatic play through drama and theater. On a weekly basis our coach will visit their preschool or childcare and together they will explore emotions, characters, story settings and props. Your children will be introduced to theater and the dramatic arts through well-known fables, children's books, as well as confidence and communication building games and activities. With our unique ShiningStars curriculum your children will develop many essential life skills including cognitive skills, physical and motor skills, their co-coordination, focus, clarity of speech and much more. Our program will deepen your child's emotional and social skills as well as introduce them to an understanding of shared experiences and respect for others. A final performance or play is the end result for these classes. Of course parents and friends are welcome to attend! Our aim is to encourage children to just do their best! Held weekly at your child's school. Your little one must be enrolled at one of our partner schools to participate. We visit once a week and deliver our 30 minute curriculum at a time that won't interfere with classroom learning. To register please click the link below, choose the name of the school your child attends and submit the form as completely as possible. Upon submission you will receive confirmation via e-mail and your child will join in on all the fun during the next scheduled class!